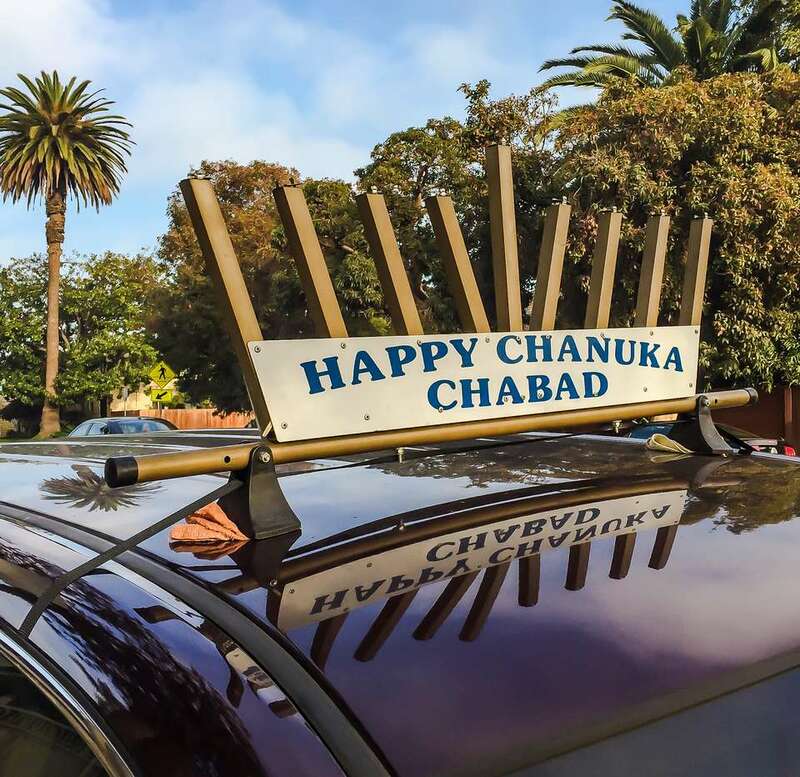 However you spell it, there are Hanukkah celebrations in Los Angeles and Orange County that range from simple community gatherings to elaborate public exhibitions. The dates for Hanukkah for 2018 are from sunset December 2-10. The Hanukkah Family Festival at the Skirball, features music and dance, hands-on arts and crafts and tasty Hanukkah treats. 2017's event explores the themes of Hanukkah through the traditions of the Los Angeles Latin American community. Musical entertainment includes Melinda West, Janice Markham and klezmer band, Yale Strom & Hot Pstromi with dances from Bruce Bierman and Gilberto Melendaz. When: December 2, 2018, 11:00 a.m. - 4 p.m.
A community event featuring stage performances, children's games and crafts, gift boutiques, family portraits. When: December 1, 2018, 10 a.m. - 2 p.m.
A fun-filled day of light-themed activities, including shadow-themed arts and crafts and story time. When: December 9, 2018, 2 p.m. - 4 p.m.
Family fun activities including arts and crafts, games and farm activities, zip line, climbing wall, cookie decorating a Hanukkah Sing Along and more. A Kosher lunch will be provided. When: December 9, 2017, 10 a.m. - 2:30 p.m.
Terranea will be having Menorah-lighting ceremonies at sundown in the Lobby Living Room nightly Dec 2-10. They are also putting together a special a la carte Hanukkah menu at catalina kitchen and a special Hanukkah lunch and sweet treats at sea beans restaurant. Southern California's largest menorah will be lit at CityWalk's Cinema Plaza with accompanying festivities and a tribute to Jewish music. When: December 9, 2018, 6-9 p.m.
A buffet dinner with latkes, donuts and dreidels, glow-in-the-dark sand art, arcade games, and more. When: December 2, 2018, 4:30 p.m.
Beverly Hills will have a public Menorah Lighting Ceremony and Hanukkah Celebration including live music, refreshments and face painting. When: Dec 2, 2018, 7-8:30 p.m.
JEM Hebrew School presents the Chanukah Menorah Lighting at Beverly Canon Gardens. There will music, doughnuts, hot latkes, a gift for every child, face painting and more! When: December 2, 2018​, 4:30-6:30 p.m. The annual Hanukkah Celebration at the Farmer's Market includes children's craft workshops, holiday foods, music and a Menorah Lighting Ceremony. When: Dec 2, 2018, 2:30-5 p.m. The first public Menorah Lighting on a battleship, this Chanukah celebration includes a tribute to the US Armed Forces aboard the USS Iowa in San Pedro.You'll also find music, dreidels, latkes, hot chocolate and more. Mention this event to receive discounted admission to the USS Iowa Battleship Museum before the event (tickets sold until 4 pm) and Ice Skating on the USS Iowa after the event. When: December 2, 2018, 4-7 p.m.
Pretend City Children's Museum in Irvine is celebrating Nanukah with activities, stories, rhymes, songs and crafts designed especially for 3-5 and 5-8 year-olds. There are different activities each day from December 2 to 10, 2018, with some scheduled in the morning and others in the afternoon. Cost: Included in museum admission of $13.75. Military and family $10.50. Free for infants up to 12 mos. When: December 2, 4 and 9, 2018, 3 p.m.
Entertainment, crafts, dreidels, food and a menorah lighting at Fashion Island in Newport Beach. When: December 2, 2018, 3:30 p.m.
Best Things to Do for Hanukkah in Washington, D.C.